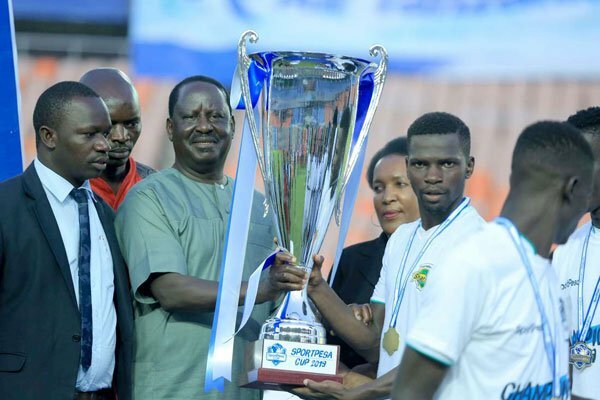 Former Prime Minister Raila Odinga nearly collapsed while handing Kariobangi Sharks the Sportpesa Cup. Contrary to the rumors that were doing rounds on social media claiming the famous politician fainted, a video has now emerged to show that Raila was only whiskered away by bodyguards after he felt a little dizzy during the ceremony. In a brief statement issued on Sunday, January 27, shortly after the rumours started doing rounds, Raila’s Personal Assistant, Dennis Onyango, said the ODM party leader only stepped on a podium that was falling off and that it had nothing to do with his health. “Hon Raila Odinga is fine in Dar. 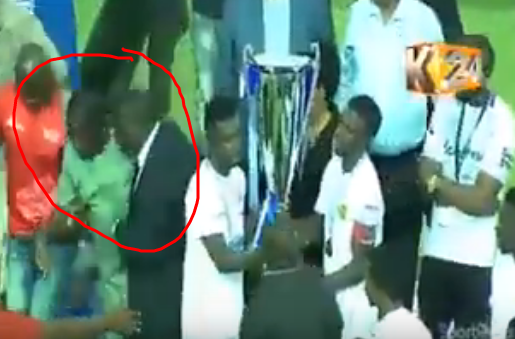 Images of security people holding him emerged from a step on the podium that was falling off and not anything to do with health. Thanks though to everyone who has expressed concern,” he clarified. Many however trashed the statement saying that it was clear Raila was fatigued after a busy week.